Undoubtedly one of the best vocal percussionists in existence, Bamboo delivers note-perfect beats and a wide range of sound effects accompanied by his vibrant energy and personality. His ‘sound roster’ offers a myriad of beats and sound effects such as drum machines, turntable scratches, helicopters, race cars, celebrity impersonations etc. Bamboo’s versatility allows him to perform at a level beyond. Whether solo or collaborating with other artists, his abilities have no bounds. 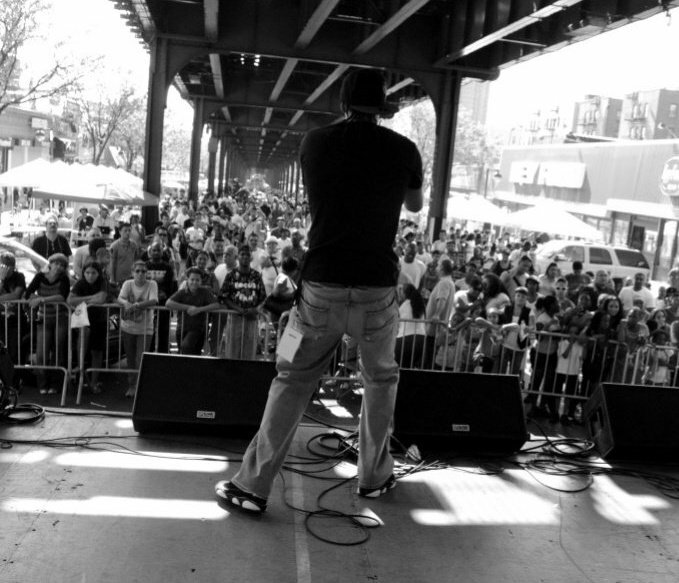 Born and raised in the Bronx, the birthplace of Hip-Hop, Bamboo discovered his love for beat boxing and making sounds at the age of 12 and credits Michael Winslow, Kenny Muhammad and Doug E. Fresh as being major influences. By age 16, Bamboo developed a passion for entertainment and took his talent to various venues around New York City. Bamboo has won numerous talent shows and competitions; his first being The Legendary Apollo Theater where he was a multiple time winner. Bamboo’s undeniable talent has landed him in many promotional events for various companies & radio stations throughout the tri-state area. Check out Bamboo’s official fan page and follow him on twitter.